What a month it’s been. It’s been a great month – definitely on the cold side, but by far the fastest passing month that I can remember in quite some time. I am just about 4 months into my new career, recently got married and set a new October Dividend Income record! What’s not to love? Whirlwind, yes, but a successful month? Without a doubt. Consistently investing in the sporadic market has kept the portfolio moving in the right direction. Let’s check out the results. I received a total of $468.27 of dividend income in October. Another record, no doubt, but not by much and wasn’t as strong of a dividend earning increase versus other competing months. However, it’s in the green or positive. Further, the 401(k), Health Savings Account (HSA) and all dividends are automatically invested/reinvested and helps take the emotion out of timing & making a decision. Also, to find out why I max out my 401(k) and HSA – please refer to the 3rd part of my tax series, (though I have the breaks on the 401k, as I recently posted due to the 6 month waiting period, only a little over 2 months of waiting to go!) as that describes the magnitude of benefits to increase the amount you can invest due to reduction in taxes. 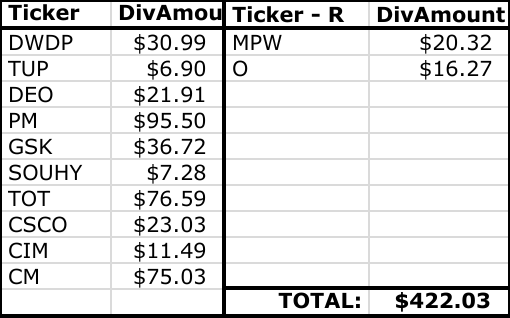 Here is the breakdown of dividend income for the month of October! So what’s going on above? 14 different companies sent checks my way, thank you guys! We do have a few new names, as I am now invested in an aristocrat – Illinois Tool Works (ITW) and an Italian food company – Armanino Foods (AMNF), whom just announced the 2nd best quarterly earnings in it’s company’s history. The dividend checks flowed and were all reinvested, as well. Philip Morris (PM) dividend continues to make me laugh, standing tall at over $100! Similarly, I have split out between the individual stock amounts and the retirement accounts, as the ” – R” indicates a retirement account dividend (or the furthest column to the right). I separate these two, as I like to know what portion of my dividend income is coming from those retirement accounts that I cannot touch until 59.5 (barring any other usage rule I could use). Here, it shows that I received a total of $49.14 (up from $36.59 last year) or 10.49% of my income from retirement accounts and the other 89.51% was from my individual taxable account portfolio. This ratio also has stayed fairly consistent. Additionally, this shows from retirement accounts that I’m all ready for my set it and forget it mentality to keep that income going. To see my portfolio – one can go to our portfolio summary page. So what happened month over month? 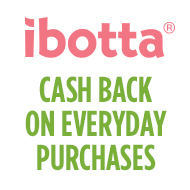 First – my income was up 10.96%! I’ll be well over $520 next year, if I can keep that same growth rate up, which I have no doubt I will – time to keep killing it. Outside of the new names mentioned above, companies have really increased their dividend, such as Canadian Imperial (CM), Diageo (DEO), Cisco (CSCO) and Philip Morris (PM). Dividend reinvestment has fueled most of the other growth that we see. Dividend increases this month did not disappoint! Another 3 companies lined up October with dividend increases. What is AWESOME, is that 2 of the 3 above are NEW positions in my portfolio – WestRock (WRK) and Iron Mountain (IRM) baby! Glad those two investments are already showing more fruit from the initial capital injection. Lastly, Visa (V), oh Vice, announced their second dividend increase in 2018. I’ll always welcome that! In order for me to add $11.88 to my dividend income, I would have to invest $339.43 at 3.50%! As I discussed in my normal monthly expenditures article, this dividend income would cover almost 50% of my average $984 monthly expense, which includes the mortgage, property taxes, insurance and utilities. This shows promise and as long as I keep those expenses in check, this coverage should continue to grow bigger, closer and closer to the 100% mark. What a month, everyone, what a month. In similar fashion – all of the investing from last year and moves this year, shows that my aim to save 60% of my income, and making every dollar count, has allowed promising results already this year. Are you making every dollar count, everyone? Any surprises in October for you? Did you dress up for Halloween? Did any dividend income company play any tricks on you? Please share your feedback and comments below! As always, appreciate the love and feedback on the road to freedom, good luck & happy investing! This entry was posted in Monthly Summary and tagged amnf, Dividend Income, ITW. Bookmark the permalink. 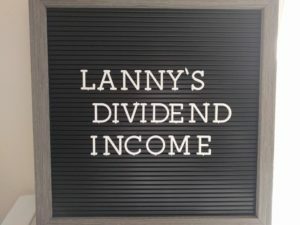 Great dividends this past month Lanny. You’re killing it. Keep investing as aggressively as you have been and you’ll cross that $500 mark no doubt. Wishing I bought Cisco in the $30’s. This company has made tremendous strides in the tech sector. And their divvy increase is a nice perk. Also been keeping an eye on Tupperware, however I am uncertain due to the recent beat down it recieved. However, their dividend sure is enticing. Keep up the awesome job. And yes, I am wishing I bought more Cisco in the $30’s, great dividend company at this point. TUP hasn’t increased their dividend lately, but they are paying shareholders for us to wait at this point. Those are some dope stats. I am excited just to push my off months above $100 for my taxable accounts. All in due time! Hell yeah!!! That’s a huge milestone. Nice job Grem, pumped to read. Thank you very much – that dividend PM is growing each quarter, that’s for sure and their above average dividend increase helped. I appreciate the comment, as always, time to keep pushing forward. Kapow! Love the moves that you’ve been making and the rewards are rolling in with another great month, and you’ve got to love those dividend raises–particularly that whopper from Visa! That dividend payment from PM is quite impressive as well! Our split between taxable and retirement accounts is pretty close to the same, although mine is currently in reverse with the bulk coming from my retirement accounts. Doing my best to close that gap so the dividends can help fund the early years of retirement until we are able to start tapping into tax-advantaged accounts. Keep pouring fuel on that FIRE! Loving it and yes, you are and continue to be on a monstrous tear. Just crushing moves left and right, it’s quite amazing. Let’s both stay after it! I know I will and I cannot wait to crush through it. Hopefully it can be over $600 this time next year. Getting close! It seems you had a solid month. That 500$ mark is getting pretty close! Close, but not there, next time. Next time, still work to be done! 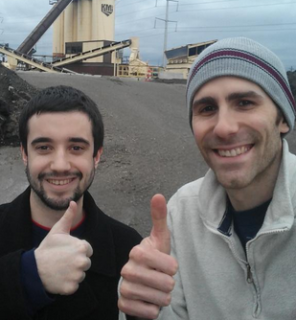 Congrats on collecting $468 in October dividends! The increases were very nice, especially from Visa. I enjoyed the increase from IRM as well as I added IRM to my portfolio just last month. That dividend from PM is incredible. Keep making every dollar count! Thank you, and pumped you have the IRM as well! You’re gosh damn right we are making every dollar count my man!! Each day, each dollar. Keep setting those records… Always a good feeling to see ever increasing numbers hit your account. Of course, all the fresh buying doesn’t hurt either with so many great companies going on sale the last month or so. With 2018 winding down it will be interesting to read our collective annual totals for dividends. Awesome job! I agree and isn’t it wild seeing all of this happen, that each move, each reinvestment, each dividend – it gets better and better? It will be great to take a review of 2018 – but also a great time to gear up for 2019! Amazing to think of half your expenses being covered with no further work on your part. Can’t wait to see the day when 100% is covered. Keep up the awesome work! I agree and that 100% will come and I am doing whatever it fricken takes!!! Lots of names paying you on an off month is nice to see. Few dividend increased in there as well always helps. Almost at that 500 mark. Keep it up! Looks like a good month to me! Great dividend increases all around.